This is Chenda. she is 75 years old. We met her in a pagoda where we attended a service at 5 o’clock in the morning. 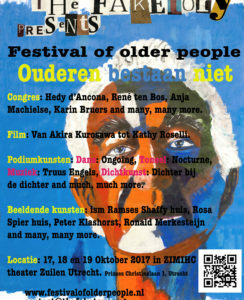 There, a 1000 or more old people were attending, mainly women. She made contact with us. We went to her apartment to do the interview. She bought this apartment for 6000 dollar in 1997. It is almost without furniture, some mattresses on the floor. All her life she worked as a doctor in hospitals, there she also adopted her second daughter. A pension does not exist here. 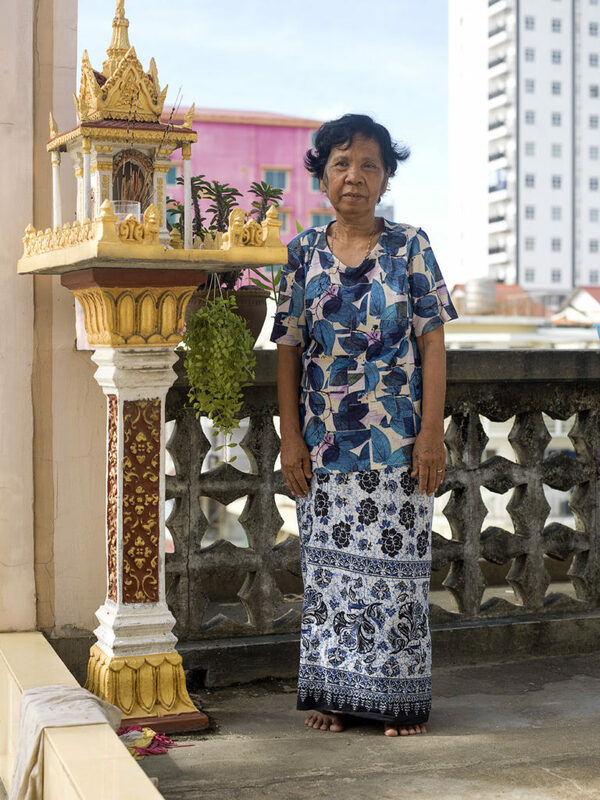 She lost her husband thanks to Pol Pot and is still missing him. Here she talks about loneliness. She receives 150 dollar every month from her daughter who lives in Canada. From this money she takes care for her other daughter and buys clothes for her grandchildren in Siem Reap. She also saves some money in case she gets sick. Her son in law is a tuktuk driver in Siem Reap. He is losing his business because the hotels are buying vans to drive tourist around, so the don’t need a tuktuk anymore. Now her daughter has asked to help to buy a car to be in business again. She thinks about selling her house to help them, may god forbid. When she was working she felt useful and surrounded with contacts with patients and people. Now she only goes to the pagoda, to meditate there.